I wasn’t exactly coerced into taking this selfie, but I did have to stop whapping the ball around in our Jackson Galaxy Space Station to do it. As you can see, I am pouting just a bit. I do think my selfie turned out quite well, however. What do you think? I think it is too bad Mom can’t take photos as purrfect as this one. My furblings and I know this is a holiday weekend in the U.S., so lots of peeps will be busy with picnics and other celebratory falderal. We are hoping that before they begin the festivities, you can talk them into posting your selfie and joining the blog hop. Here’s a few tips on how to do that. Sorry, I didn’t want to post these. Mom made me do it. Pffft! You only have a few more days to enter the “My Favorite Messmaker” Sweepstakes to win some pawsome prizes from Libman. Here’s the info if you missed it previously. In honor of May’s National Pet Month, Libman has launched the “My Favorite Messmaker” sweepstakes in May 2018 to celebrate pets and their “mess-making” abilities. The sweepstakes will run until May 31. To enter, all you need to do is submit a photo of your precious “messmaker” (pet) and provide your name and email address. One winner per week will be randomly selected for five weeks and that winner’s pet’s photo will be featured in The Libman Company’s Facebook cover photo, and in promotional material for the sweepstakes. Weekly winners also will receive a package of Libman products geared toward the needs of pet owners. Thanks to everyone for joining us today. 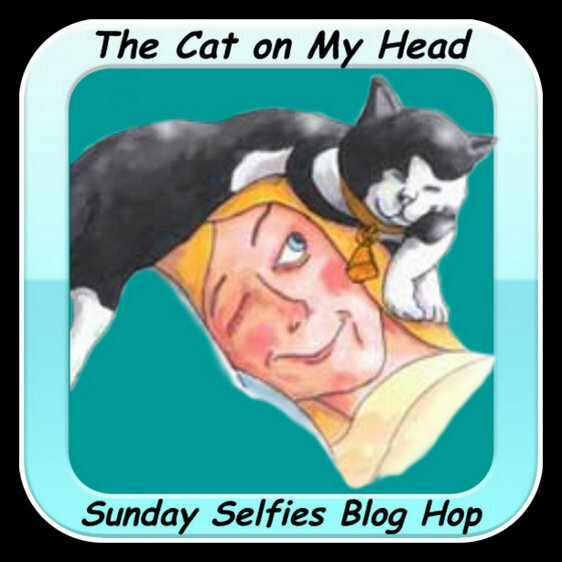 Your support and participation in the Sunday Selfies blog hop is pawsome and truly appreciated. Cooper Murphy, we can’t believe you would ever make a pouty face. We both happen to think you are so neat. Mom admits she’s fallen in love with you. She tends to fall in love easily when it comes to fur people. However, we know that we are still her favorites. Keep on posting those selfies ‘cuz you do an awesome job. I think you just wished that you didn’t have to have that selfie taking pause…or you might have been worried that the ball would be snagged by some other kitty before you could get back to it! Nonetheless, you are a handsome kitty! Cooper Murphy! What a great selfie you look totally nonchalant! I want to thank you guys for hosting us every week! I always enjoy pawticipating. You are such a handsome little mancat!!! Cooper Murphy dude, we think mew look epically epic today! Lookin furabuluss Cooper Murphy! Mee finkss you look more seereus than pouty, mew mew mew…..
Wishin efurryone there a peecefull an sunny (an too *hot* week). Pee S: Fur any of youss who onlee have Googull Linky wee will not bee abull to commint. Wee see there are a lot of changess fur commintin on many bloggiess. Wee do not use Googull so if you not see us you will know why. Cooper Murphey…HANDSOME dude! I think this shows you off better than ANY other photo! Spelled my name wrong. My goodness. I’m not seeing the pout, but you do look as if you’d rather be doing something else. Happy Memorial Day weekend Cooper Murphy! 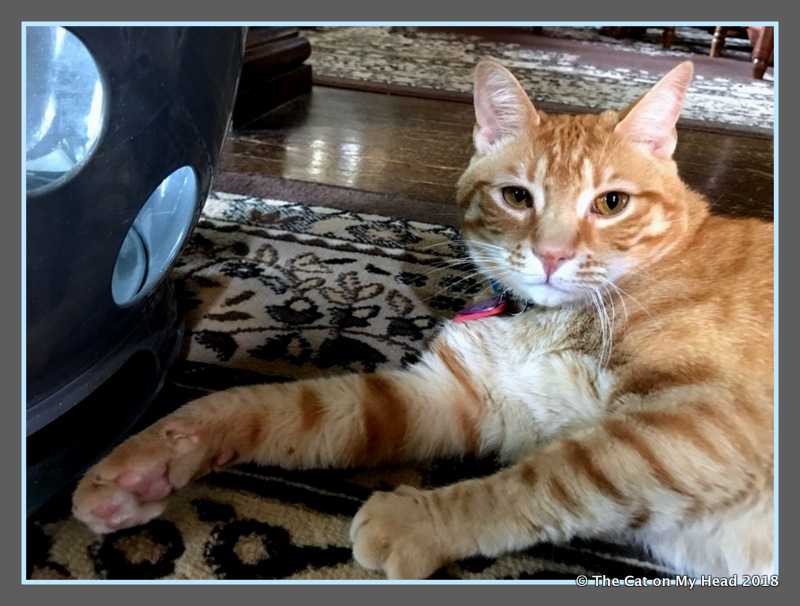 I think your selfie looks superb, but orange kitties are a big weakness in this household! We hope you have a great one, we’re in the midst of our first Tropical Storm of the season, and it’s NOT officially Hurricane season yet…oh brother this is gonna cause our human to hyperventilate! Cooper I have a bit of a pouty post too. Maybe a bit more pouty than you. Thanks fur the well wishes. We are so happy to have Memorial Day with Dad. Kitties are masters at pouting when you make them do something they don’t want to do. In fact they may not do it at all. Cats do what cats do when and if they want to do it. Cooper Murphy, your selfie is MUCH better than mine. AND you had time to play… I was very hampered by the need to purrtect my purrsonal purrperty. Thanks for telling us about the sweepstakes, we totally missed it earlier. Happy Memorial Day Weekend. You are too adorable, Cooper Murphy! We are sorry that you had to stop playing to snap your selfie, though. Eddy would be sad about that, too. She just loves the Jackson Galaxy Space Station we won on your blog some time ago. All the kitties love it, but Eddy sort of hogs it. Purrs to you all! Looking good Cooper Murphy, we love your orange stripes! We think you did good with your selfie, Cooper Murphy. Now get back to playing! We think you did a great job with your selfie!! It is a bit of a pouty selfie! We are celebrating memorial day by working hard in the garden all day! Gosh Coop I think this is a smashing selfie….you look relaxed yet READY to whap! I hope that your whole crew has a great Sunday…….thanks for hosting the Selfies. Oh I dont know, I dont think your pouting. Just looking quite laid back and ready for more space station play. I think it is a very nice selfie, Cooper Murphy! You look so comfy on your selfie !! Hi Cooper Murphy. Your selfie is wonderful and you’re so handsome. We had our long weekend last weekend so no holiday for any Canucks up here. Hope you enjoy the traditional BBQ weekend Cooper Murphy. Happy American holiday to you all. Have a great week-end! Cooper Murphy, You look wonderful. I don’t think you look pouty at all. Just an entitled kitty, as you should be. Hiya Cooper Murphy! That’s a pouty, but devastatingly handsome, selfie, for sure. We hope you got right back to playing after you took this! Happy Memorial Day to you and your family. HUGS!